The world's hardest natural material also has the most enthralling sparkle - these two properties mean that tiny diamonds are giving us dramatic new ways of interacting with the human body. Whether it's enabling MRI scanners to see the way drugs move into cells, or creating durable connections between retinal implants and neurons, diamonds or even tiny fragments of them known as nanodiamonds are lending their glitter to medical research. 'Diamonds or graphene are very dense materials and therefore nothing diffuses through their surfaces, so there is no contamination of such implants when used to electrically exchange with neural cells,' said Professor Philippe Bergonzo, coordinator of the NEUROCARE project, which has developed a new type of interface linking medical devices to neural tissues like the retina or the brain based on nanocrystalline diamond and graphene. The work they are doing means that nanodiamond- and graphene-based brain interfaces are so durable that they could form the basis for long-lasting brain implants that can prevent epileptic fits, and so small that they can be connected directly to a neuron, making retinal implants good enough to allow blind people to read. Today's experimental brain interfaces use metals such as platinum, but the problem in the long term is the potential degradation of the metal surface within the body, altering the electrical exchange. That's why nanodiamond technology is so important. It's the kind of breakthrough that could one day lead to long-term help for locked-in patients, where experimental temporary brain implants aim at enabling them to communicate directly with computers and even operate exoskeletons in institutions such as the Clinatec institute at the Centre Hospitalier Universitaire Grenoble Alpes in France. Now the NEUROCARE researchers are looking for a company with the cash to fund formal trials and try to get regulatory approval for it to be used in commercial products, a process which can take around five years. This search has led them to look across the Atlantic, even though the original research was funded here in Europe. Innovative companies will also be key to bringing nanodiamond-based medical imaging technology out of the laboratory and into hospitals and clinics. The NDI project, funded by the EU's European Research Council, is working on a way to use nanodiamonds to enable standard MRI scanners to zoom in on single cells. The project, which runs until the summer, has set up a company to develop the technology and is already collaborating with big high-tech firms such as Germany's Bosch and France-based Thales. 'Once big industry and small startups get involved in this, it will ensure the transfer of technology towards real-world applications,' said coordinator Professor Fedor Jelezko, from Ulm University in Germany. The technology means that cancer could be detected faster and would help increase the speed of drug development. 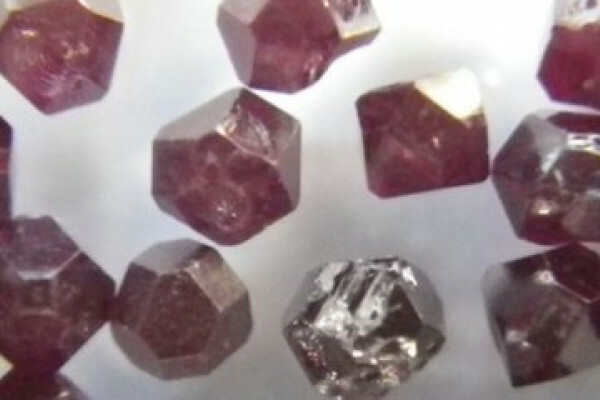 It's all thanks to the unique properties of nanodiamonds, which are often made by milling down standard diamonds. MRI scanners work by picking up the spin of atoms. However, normally they only pick one nucleus up out of a hundred thousand. The way to improve this is to make the spins extremely cold, which is impossible in a live person. In diamonds, the spin of carbon atoms can be controlled by light, and it can be made very cold using laser irradiation, which lasts for days. The next step is to take the resolution further, and to make the technology user-friendly enough that it can be used in a live setting in medical laboratories. 'There is a long way to go, but we and other colleagues are working on a path towards this dream,' he said. It is true that nano-diamonds is an amazing material. I am really looking forward for its future use in medicine. It should have bright future as more efficient drug delivery carrier. :) It isn't just a lab experiment but these materials are starting to see its widespread use. However so far more in industrial area. Medicine should be the area to go to.